Grav Labs has come up with its latest offering, the Ionix. It is a semi-portable vaporizer that can be easily carried in a backpack. In terms of usage, it gives a lot of convenience to the user and still manages to produce vapor quality comparable to high end desktop vaporizers. Made to perform on any tolerance level, the Ionix comes to life within seconds. The oil rig may take a few minutes to get started, but the quality of vapor produced is comparable to that of a proper desktop vaporizer. The Tri-Vape Coil of the Ionix transforms it into a vaporizer with three different atomizers.The control buttons are given at the base of the unit for easy usage. 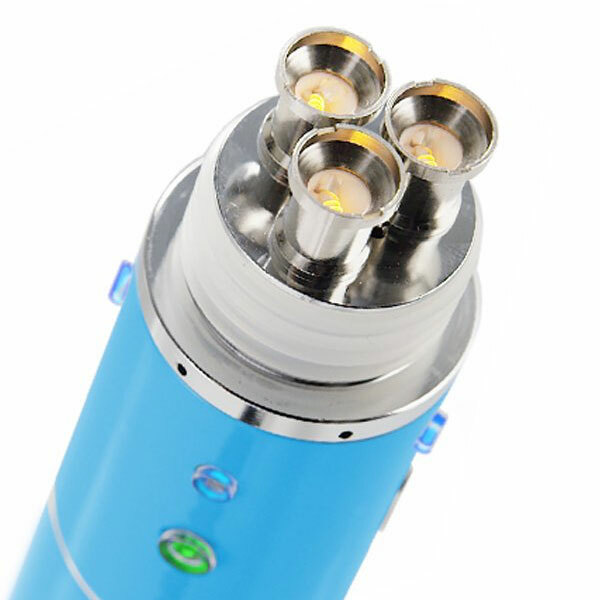 While the blue button activates one atomizer at a time, user can use the green button to fire all the three atomizers at once. This option gives a massive hit of flavor rich vapor. Users can enjoy three different flavors with the Ionix.